Awami League Advisory Council Member Tofail Ahmed on Sunday said BNP has become bankrupt politically because of its negative politics. “The BNP chief is now in jail being convicted in a corruption case. The acting chief is a fugitive staying abroad. He is wanted in several cases, including murder charges. No one trusts them,” he said, speaking at a view exchange meeting with grassroots activists of Awami League units in Kachiya and Kapta unions at a school ground at Sadar upazila in Bhola. Tofail said BNP could not wage any movement in the last 10 years. “The BNP chief is now in jail. But they couldn’t wage any movement as the people of the country are not with them and they are in existence crisis,” he added. 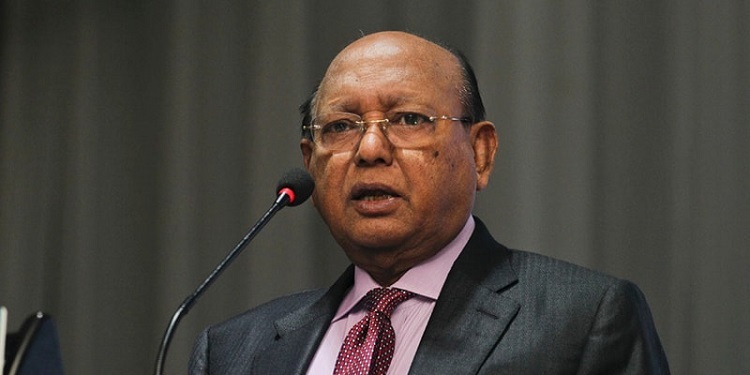 Criticizing the activities of Jatiya Oikyafront, the veteran AL parliamentarian, said some unprincipled persons made the alliance and they got only eight seats in the last general polls. Even, Jatiya Party got more seats than them, he added. AL district unit general secretary and Zilla Parishad Chairman Abdul Momin Tulu, AL upazila general secretary Nazrul Islma Goldar and AL district unit joint general secretary Jahirul Islam Nakib, among others, addressed the meeting with AL upazila unit president Md Mosharraf Hossain in the chair.